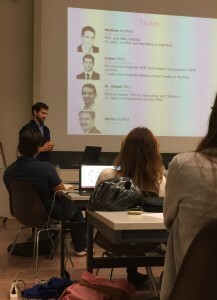 Last night I had the chance to speak to about 30 young founders in prestigious ETH university in Zurich. 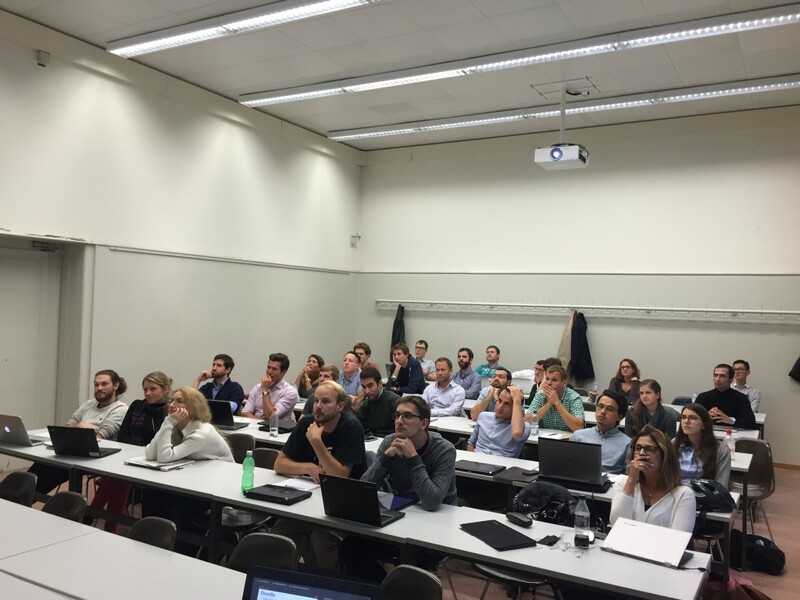 The event was organised by venturelab – the accelerator for best start-up talents in Switzerland. Our host Stefan Steiner gave a great introduction into how start-up entrepreneurs could brace themselves. venturelab is actually sorting out the top potentials and their aim is to identify determination, flexibility, imagination and competence in the founders or their teams. ‘Timing, perseverance, and ten years of trying will eventually make you look like an overnight success’ was a quote I spotted from Twitter Co-Founder Biz Stone on one of the slides, how true is that? A good highlight of how tough the way can be for a start-up before success strikes. 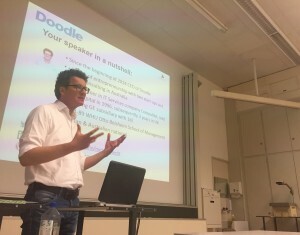 At the acceleration workshop I was talking about effects of digital disruption and I explained, how Doodle started as a disruptive model a few years back. Seems to be the flavour of the month 🙂 as the digitalisation with solutions to get rid of unsatisfactory ways to reach consumers is discussed almost every day. Together with the young founders we worked on team structures for an ICT company, from start-up to growth phase and lots of questions came up as each of the founders had to prepare a set of HR and team related slides. It was an interesting workshop and will certainly not be the last time I meet some of these founders on their way to be entrepreneurs with an own digital business model. Thanks Stefan for the invitation and great experience.